Please mark your calendars for Saturday, April 6, 2019, for an evening of fine food, friends and festivity at a familiar vineyard estate just off West Shore Drive. The biennial Tower School auction is a community event supported by parents, faculty, students, families and the businesses within the communities in which we live and play. Auction proceeds support two important programs that enhance and enlighten the experience provided by the school—the Cultural Arts program for students and the Professional Development program for faculty. Check out the Battle of the Baskets. Look at the Class Gifts! Learn about the auction's impact. When: Saturday, April 6, 2019, from 5:30pm to approximately 10:30pm. Location: The creative genius behind our decorations team, Winston Flowers, and Frost Lighting transforms the Lynch Gymnasium for the event. 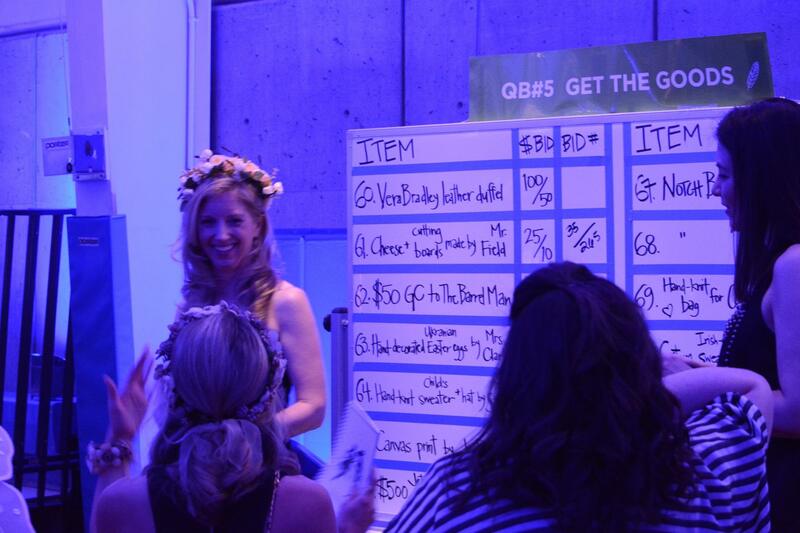 Format: The evening kicks off with some not-so-silent bidding on fast-paced Quickie Boards where you'll bid on everything from sporting tickets to kid-themed outings with their favorite teachers. While you move from board to board don't miss out on the full open bar and tasty hors d'oeurves from Vinwood Catering. After the boards close, guests enjoy a seated dinner and live auction with professional auctioneer Barton Hyte. For everyone looking to extend the fun, there's an after-party (cash-bar) planned at Wick's Restaurant in Marblehead. Contact Mindy Gyllenborg, Auction Co-Chair, to learn about the many ways parents can help out!